They reconstructed Egypt, earning a colossal fortune in the process and certain notoriety, despite legal and criminal accusations. The Talaat Moustafa family rose to prominence in the 1970s when the family patriarch, Talaat Moustafa, took advantage of the ‘Open door’ policy of the Egyptian Prime Minister, Anwar Sadat, to start a construction business. 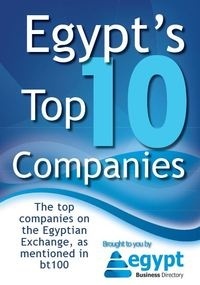 Since then, the engineer and his three sons have turned the company into one of Egypt’s largest conglomerates, comprising over 20 individual companies spanning construction, agriculture and tourism and employing thousands of people. Among the group’s headline projects were three Four Seasons hotels, the Al Rehab City development, close to Cairo, and a series of high-end resorts along the Red Sea. The group is estimated to be worth 11.6 billion Egyptian pounds ($2 billion). Talaat Moustafa gave his sons control of separate parts of the business. The oldest, Tarek Talaat Moustafa, is the chairman and managing director of TMG Holdings, and was formerly the managing director of the construction arm of the business. Hany Talaat Moustafa, the second son, is the chairman of Alexandra Agricultural Company, the farming section of the group. Hisham Talaat Moustafa, the youngest son, built and managed the real estate arm of the group – creating one of the leading real estate development companies in Egypt. Hisham’s most dramatic period of expansion came in the 1980s when he became involved in a government-sponsored development programme, which allowed the private sector to develop new housing projects around Cairo to arrest the problem of housing shortage. In 1987, TMG began work on the Al Rawda Al Khadra Village, an area of 84,000 square kilometres close to Alexandria. Within three years, the project was sold out. The patriarch, Talaat Moustafa, became active in politics, becoming a member of the People’s Assembly and gaining some extremely powerful friends and allies, including the billionaire businessman, Walid bin Talal. After his death in 2005 at the age of 79, his sons continued to build up the business, including the 33.6 million square metre Madinaty projects – an ambitious attempt to build the largest all-inclusive enclosed city in the Middle East. They also continued the group’s pattern of opening lavish international-standard hotels, with the third Four Seasons property – known as the San Stefano, in Alexandria – launching in 2007. In 2008, Hisham Talaat Moustafa was convicted of murdering his former girlfriend, the Lebanese pop singer, Suzanne Tamim, who reportedly dumped him after a three-year relationship. Hisham had wanted to take her as his second wife, but his family objected and Tamim then began an affair with an Iraqi-British kick boxer. Investigation revealed Hisham paid a former policeman, Mohsen al-Sukkari, to follow Ms. Tamim to a property in Dubai, and gaining access to her building by pretending to work for the owner, the killer stabbed her to death, before slitting her throat. Al-Sukkari who worked as a security guard in one of the family’s hotels, told the police that he was paid $2 million by Hisham to kill the singer. The court was presented with compelling evidence, including blood-soaked clothes dumped outside Ms. Tamim’s building, security footage of Al-Sukkari entering the place and mobile phone messages between the two men. Mr. Hisham, who had followed his father into politics, had won a seat in the country’s upper legislative house, the Shura Council, as a member of President Hosni Mubarak’s governing National Democratic Party in 2004. After rumours of his involvement in Suzanne Tamim’s death began to circulate, Hisham appeared on Egyptian TV to deny the allegations, noting that such gossip hurt the nation’s economy. He even proposed a legislation to make it a crime to spread rumours. Soon after, Al-Sukakari made his confessions and Hisham was arrested and charged with murder. At the time, his stake in the family business was worth an estimated $800 million. Egyptians were riveted by the spectacle of such a powerful man being made to answer for his crimes. Amazingly, the judge sentenced Hisham and his accomplice to death by hanging. Critics of the Egyptian justice system were pleased, “This verdict can bring citizens to have some trust in the judiciary and it can have a positive outcome for the regime, because people don’t trust it in general.” said Osama Ghazali Harb, an editor at the Al Ahram Center for Political and Strategic Studies in Egypt. In 2010, an appeal judge commuted Hisham Talaat Moustafa’s death sentence to 15 years; although the death sentence on the former police officer remained unchanged. Many in Egypt now expect that Hisham will gain his freedom much earlier, with another appeal pending. In the meantime, the eldest brother, Tarek, assumed control of the real estate portion of the family business with series of projects underway. This includes a fully integrated city and community complex in New Cairo and a joint venture in Saudi Arabia for a resort hotel, along with several more opportunities in the Gulf. Another exotic resort is planned for Marsa Alam, south of Egypt, not far from the border with Sudan, famous for its exceptional diving conditions, coral caves, dolphins and sharks, and clear warm seas. Behind the resort is the Western Desert, with tribes of Bedouin and the chance for visitors to go camel trekking or drive off-road on dune buggies. With this sort of high-end projects, it appears that the Talaat Moustafa Group will remain at the forefront of Egyptian businesses for a long while yet.